Russ Teubner has been passionate about integration since he launched his first company over thirty years ago and delivered products that integrated IBM mainframes with UNIX systems, fax server systems, and the newly emerging World Wide Web. 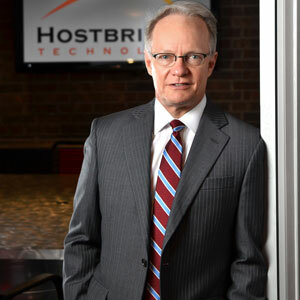 In 1999, soon after selling that company, Teubner co-founded HostBridge Technology with Scott Glenn. They met over dinner with a long-time customer who needed a way to integrate CICS® applications into a Web-based front end but would “never again use any technology that employs screen scraping.” On the butcher-paper table cloth, Teubner and Glenn sketched the architecture of a new integration approach. It was the genesis of the first technology to XML-enable CICS transactions, now patented. Today, HostBridge integrates IBM z Systems application and data assets with virtually any distributed system, from Web and mobile applications to SOAs and cloud architectures. When discussing guiding principles, Teubner often uses analyst firm Gartner’s Pace Layered Strategy as a conceptual model. Gartner describes three types of technology systems – systems of record, systems of differentiation, and systems of innovation. evolve, organizations often implement newer systems to distance themselves from competitors. Examples of systems of differentiation might include frontend applications providing unified employee access to multiple backend systems or automation systems that streamline customer interaction. Many organizations want more–technologies that rewrite the rules. Web, mobile, cloud, and analytics technologies are seen by many today as systems of innovation that fundamentally change the business landscape. Inherent in this layered model is a problem. Even as enterprises adopt newer systems, their systems of record don’t go away. Far from it. They continue to provide the critical foundation for core business functions. A number of customers in the insurance sector use HostBridge to extend CA assets to Web and cloud. “After their government mandated online access to insurance information, a Swiss insurance company asked us to assist in Web service-enabling CA Ideal and Datacom. We helped them integrate their CA assets into a national eHealth cloud infrastructure–a very innovative way to comply with regulations,” says Teubner. HostBridge is continuing to develop products that help organizations extend the value of their IBM z Systems apps and data. Recently HostBridge introduced Redis for z/OS, a product that brings Redis, the ultra-scalable in-memory data cache used by many of today’s mobile, cloud, and analytics innovators, to z Systems for the first time. With its replication capabilities, Redis will let CA customers share Datacom and IDMS data to non-z Systems platforms within and beyond the enterprise. “By replicating system of record data to other systems,” Teubner says, “customers can make it available at the lowest possible cost for all kinds of purposes – richer user experiences in Web and mobile apps, or near-realtime availability to business partners.” HostBridge Redis for z/OS is one more example of driving business value by breaking down barriers between systems of record, systems of differentiation, and systems of innovation. Develops and delivers software products that integrate existing and emerging technologies within large organization.